Stingray City in Grand Cayman :: cruise excursions. caribbean cruise. If you have a Caribbean cruise with a stop at Grand Cayman, sooner or later, you will hear about Stingray City. There’s a good chance it’s sooner if you’re looking into Grand Cayman shore excursions. And, stingray city is a COOL experience that you totally should have on your list of considerations for tours in the Cayman Islands! For shore excursions with stingrays, you have a few different options of what you want included with your day of stingrays. You can add on things like an extra snorkeling spot, a visit to a turtle farm, or kayaking the mangroves of the Caymans. 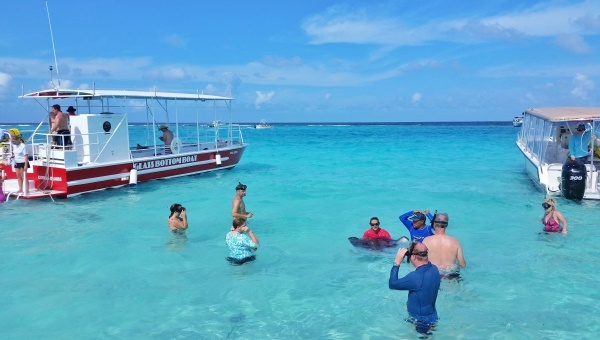 For more ideas, here are some of the best activities on Grand Cayman. So, what is stingray city? First, what do you think of when you think “stingray city”? The “city” is actually in the middle of the ocean! Well, maybe not the middle of the ocean. You can see the Cayman islands coastline from stingray city, but it is a bit of a distance from shore. 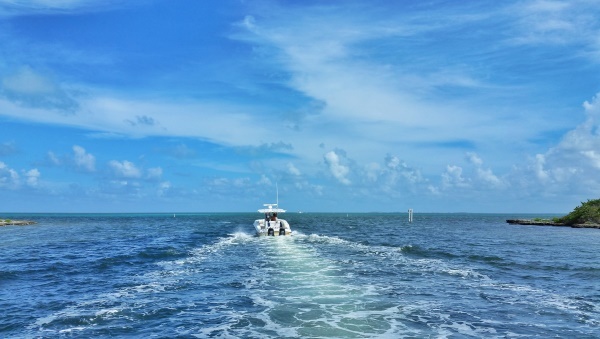 On stingray city excursions, you basically take a boat out to the open water where there is a shallow spot because of a sandbar. So while you are a good ways away from the beach, you can still very easily stand, walk, and swim around with no problems at all. This is also an area of natural habitat for stingrays, and they visit often. Of course, since it’s nature, there’s no guarantee of when when stingrays will come around. But there’s a very good chance that you’ll see tons of them if you do make it out on a stingray city excursion. 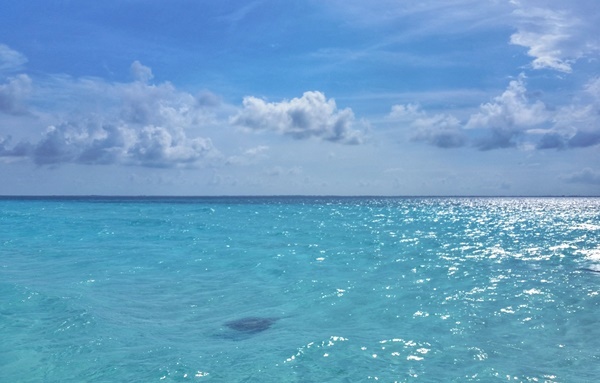 You’ll be provided snorkeling gear on your stingray tour, so if Grand Cayman is the only island that’ll you’ll be snorkeling during your cruise, you don’t have to put snorkeling gear on your Caribbean cruise packing list. Stingray city excursions are offered by most, if not all, major cruise lines that cruise the Caribbean. This includes Carnival, Royal Caribbean, Norwegian, Princess, and Disney. So, what’s a port day in Stingray City like? Here’s a peek! 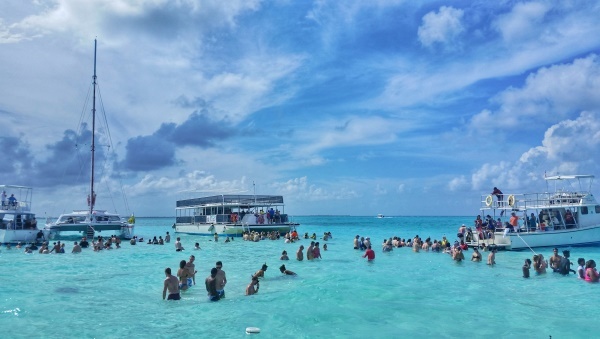 Stingray city is one of the most popular Grand Cayman excursions during a Caribbean cruise! Things to maybe pack for your cruise to Grand Cayman! 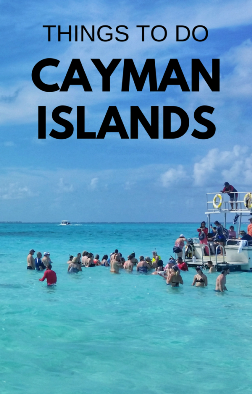 And see if you like any of these other top tours on Grand Cayman!